I’m a member of ATD Chattanooga. How can I sign up for a SHRM Chattanooga luncheon at the member rate? As an ATD Chattanooga member, you should have received an email from SHRM Chattanooga inviting you to create a password for their website. If you have not, please contact Sandra Neal at sneal@emjcorp.com. When you are ready to sign up for a SHRM event, go to the Chapter Calendar section of SHRM's website and find the meeting. Click the Register Now button. Confirm your contact information. On the next screen, click Add next to ATD Member Ticket. 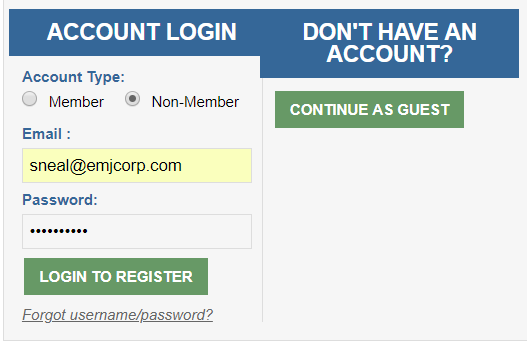 If you’ll also be registering a guest who is not a member of ATD or SHRM, click Add next to Non-Member Registration. Follow the prompts to complete your order and pay for the event.